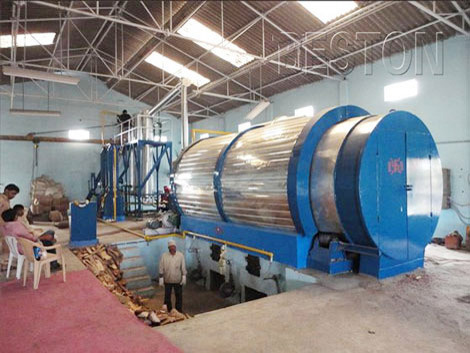 Waste plastic recycling pyrolysis plant is used to convert waste plastics into fuel oil and carbon black. As we all know, plastic waste has been the largest polluting substance for a long time because of its non-biodegradable nature. Innovators have been trying to come up with a perfect solution to recycle and take advantages of the waste plastics. 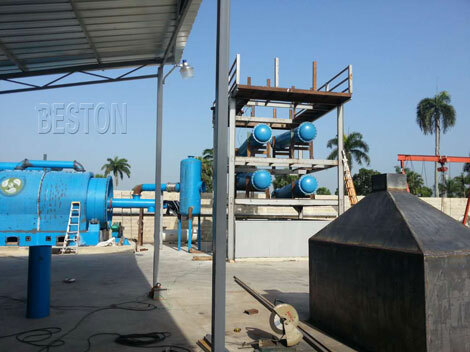 If you are also looking for a plastic waste recycling pyrolysis plant to deal with the waste plastics and want to turn waste into useful energy, Beston Machinery is the best choice for you. 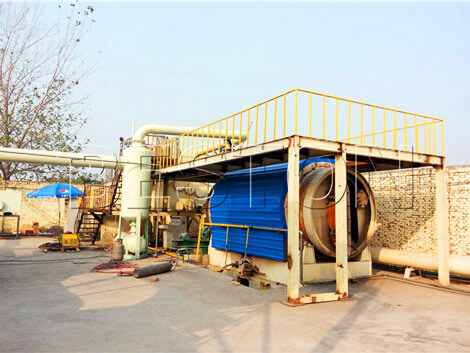 As one of the most professional plastic recycling pyrolysis machine manufacturers, we are supplying the technologically sophisticated industrial machinery for waste plastic pyrolysis. 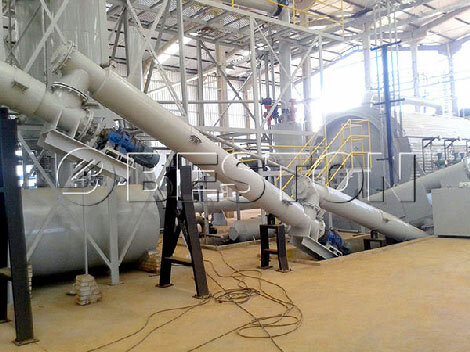 Our pyrolysis plants have been exported to many countries, such as United Kingdom, South Africa, Uzbekistan, the Philippines, Hungary, Indonesia, Romania, Korea, Turkey, Dominica, Nigeria, Jordan, Netherlands, Brazil, etc. What Types of Plastic Can be Recycled by Beston Plastic Recycling Pyrolysis Machines? Commonly, there are three types of the plastic material. And the oil yield is different when you use the different plastic. 1. Polyvinyl chloride PVC, polyethylene: PE (such as films, bottles, electrical insulating materials, handbags, pipes, drums, bottles / calcium bottles, daily necessities, etc.) pure plastic has oil yield is about 95%. 2. Polypropylene: PP (such as films, plastic rope, tableware, pots, barrels, furniture, bags, caps, car bumpers, etc.) of pure oil yield 90%. 3. PS (such as electrical appliances, stationery, cups, food containers, appliance housings, electrical fittings, foam products, toys, etc.) of pure oil yield at 90%. We supply batch (BLJ-6, BLJ-10), semi continuous (BLJ-16) and continuous plastic pyrolysis plant (BLL-20) for all customers. Different types of the machines have different capacity, space and price. Here you can see specifications and choose the appropriate type. 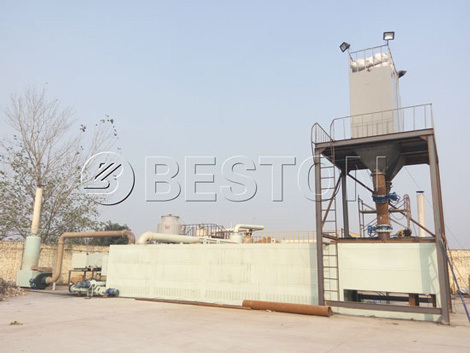 Certainly, if you want to know more details and customize the pyrolysis machine for plastic, please leave your message through the button (get a free quote today). 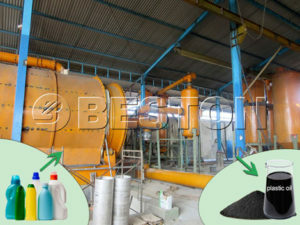 Why We Can Say Beston Waste Plastic Recycling Pyrolysis Plant Is More Eco-friendly? In order to reach the European Union’s environmental protection and emission standards, we adopt special design for the plastic recycling pyrolysis machine. Now, our plastic waste pyrolysis technology has been becoming more mature. 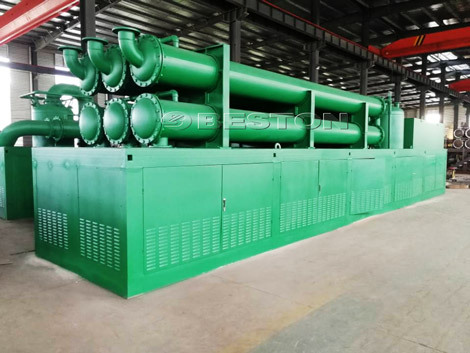 Among so many plastic recycling pyrolysis plant manufacturers, you can rest assured to buy the high quality plastic to oil machine for sale from we Beston Machinery. Find the special design out, here. Firstly, oil gas condenser can cool down the temperature of waste gas and make temperature be approximately 75℃ when let the waste gas into atmosphere. Secondly, water can be recycled during the working process of plastic recycling pyrolysis unit which can greatly reduce the cost. 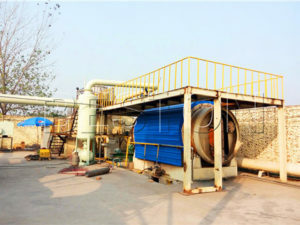 Thirdly, plastic recycling pyrolysis equipment has four-layers dust removal system, which are washing, magnetic adsorption, activated carbon and water spray to purify exhaust gas to get European standard of pollution. 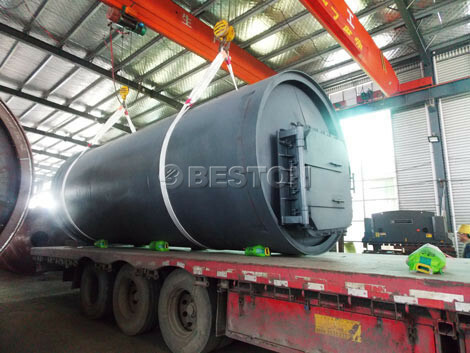 Fourthly, hydroseal manufactured by we Beston Machinery can purity non liquefied combustible gas and recycle it to reheat main furnace to realize eco-friendly and energy saving (probably 30% fuel). Firstly, feeding the crushed the waste plastic into the reactor by the sealed screw conveyor feeder, then fire the fuel in the burning room. Then, hot air will flow into the reactor for heating. When the inner temperature of the reactor reaches to related degree, the oil gas will be generated. Secondly, oil gas goes into the manifold firstly, in the manifold, the heavy particles will be liquefied into heavy oil and drop in the heavy oil tank. The light oil gas rise up. 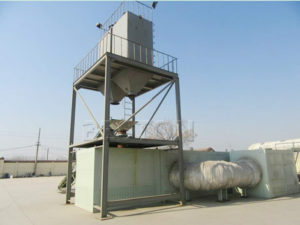 The damping tank will reduce the oil gas moving speed. And then goes into condensers uniformly. 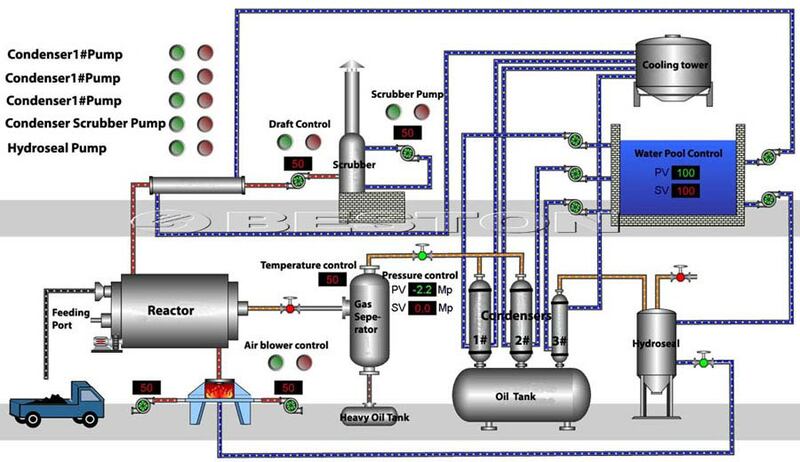 Thirdly, in the horizontal tubular condensers, the oil gas will be liquefied into fuel oil. A large scale of oil gas will be liquefied into fuel oil and enter oil tank. If you have other questions, you can contact us to get early reply. 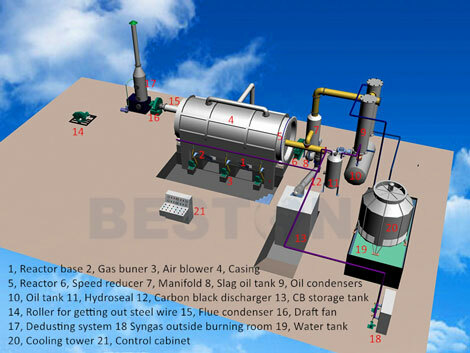 The special and advanced waste plastic recycling pyrolysis plant design of we Beston Machinery makes plastic recycling an easy task. 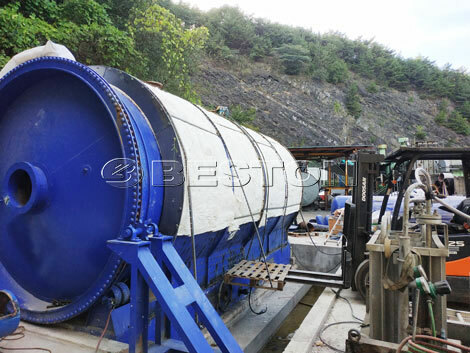 Moreover, the plastic recycling pyrolysis machine price is affordable and quite reasonable. So, don’t hesitant to get price now! 1. Good market: nowadays, with the improvement of the realization for environment friendly, plastic can not be threw out randomly in most countries, especially in Europe. Under this circumstance, more and more plastic need to be dealt with in eco-friendly way. Meanwhile, through plastic waste recycling process, the plastic can become into valuable things. So, recycle plastic machine has wide and promising market. 2. 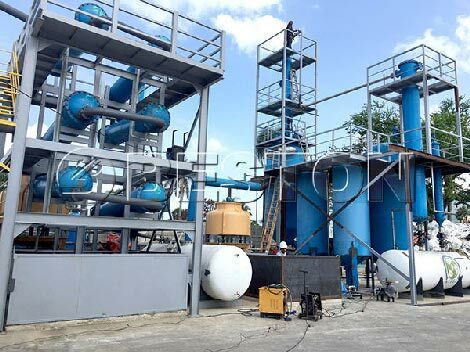 Strong and long service life: plastic recycling pyrolysis system adopts automatic submerged arc welding technology, ultrasonic non-destructive testing. Also, it also uses the 100% avoid burn technology and 100% explosion-proof technology. They all guarantee the long service life of the waste plastic to fuel oil plant. 3. Easy operation: the plastic recycling pyrolysis plant machinery can achieve the process of automatic feeding and automatic slagging. It is easy and convenient for operating. 4. Low cost after redesign: the new generation of machine for pyrolyzing plastic is more economic in electric power source, water source and labor source. In the long working life of this machine, it can save a lot of investment cost for you. 5. 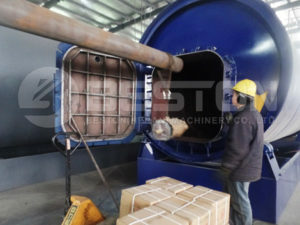 Plastic recycling pyrolysis machinery has high output, long operating life and lower noise. 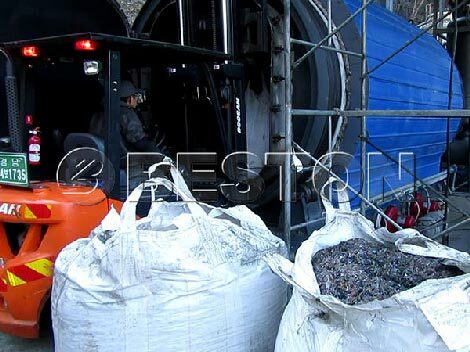 The plastics recycling pyrolysis machine manufactured by Beston has become very popular since its introduction into the market. 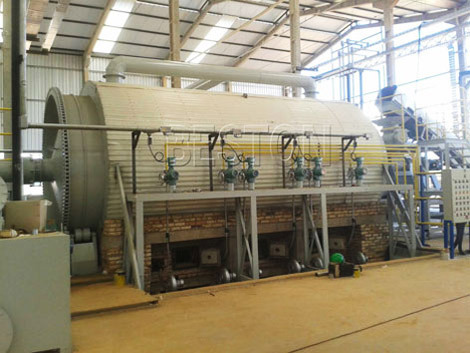 The plastic recycling pyrolysis plants are a kind of great pyrolysis machine which can be widely applied to large-scale, medium scale and small scale factory. The plastic recycle plant of our factory has been exported to many countries, such as Jordan, Nigeria, Brazil, Ukraine. 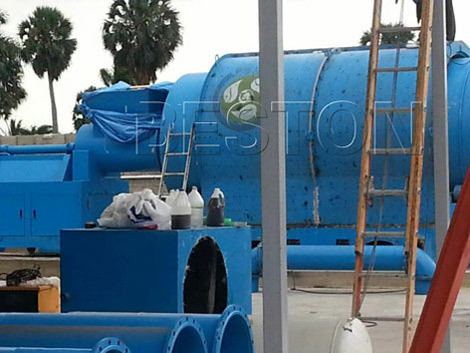 Get the high performance plastic recycling pyrolysis machine for sale here.